Simplicity Nails: Crystals with hand drawn ribbon. 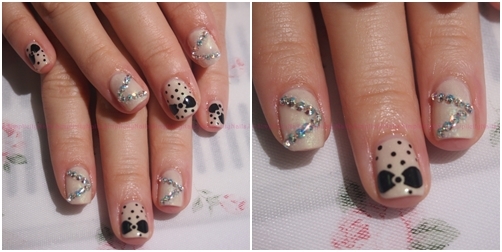 Crystals with hand drawn ribbon. Customer showed me this set from Nail Obsession and I did it unto her nails. had a hard time drawing the ribbon as I wasnt very good in drawing ribbons back den.